Tonight is the series finale of Mad Men, so I thought I'd raise a glass to the show with this classic cocktail. 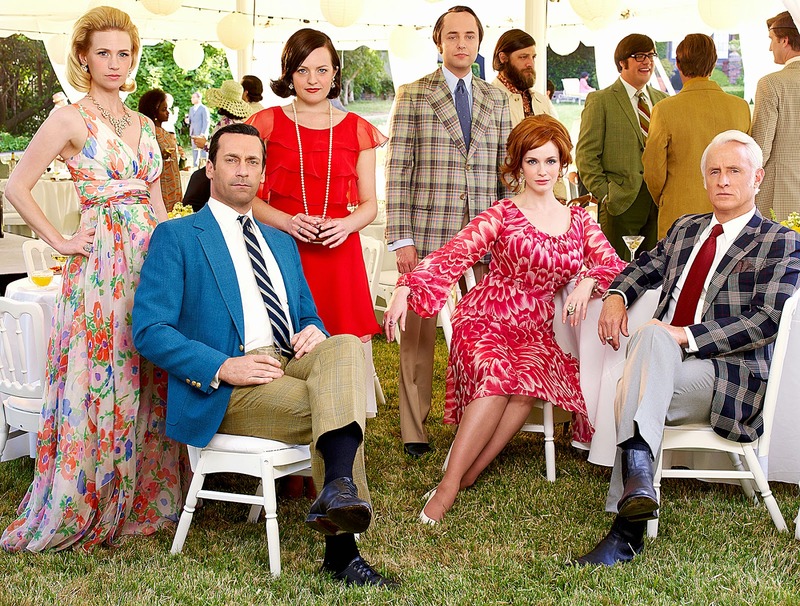 I've loved watching Mad Men over the past seven years. The characters are fascinating and the writing is exceptional. It's a show I love so much, I read as much about it as I can. So I was thrilled to discover Tom and Lorenzo's Mad Style, a weekly analysis of the costuming on the show. They talk about the historical significance of the costumes, as well as how the costumes relate to the characters' moods and motivations. It is really marvelous and I don't know what I'll miss more - the show or Mad Style. 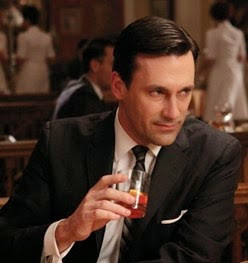 Anyway, in the first few seasons of Mad Men, set in the early 60s, Don Draper's signature drink was an Old Fashioned. His was made with rye whiskey, but this one is made with bourbon. Ever since we were in Kentucky twice last year, I've been enjoying bourbon whenever I can. We brought back this very special single-barrel bourbon from Kentucky called Blanton's. Often the old fashioned starts with a sugar cube sprinkled with bitters and muddled. It's easier to use simple syrup if you have it on hand, and it's so easy to make and keeps so long, there's no reason not to have it on hand. Add 1/2 a tablespoon of simple syrup and 3 dashes of bitters to each of two cocktail glasses. Cut each slice of orange in half and add half a slice and one maraschino cherry to each glass. Muddle the fruit into the bitters and syrup with a wooden spoon or cocktail muddler. Remove the fruit and add two ounces of bourbon to each glass. Add ice to each glass. I made a big ice cube using a small tupperware container. You can also buy a large ice cube maker. This makes for slower-melting ice so the cocktail is less diluted, but you can use regular ice too. Garnish each drink with another half slice of orange and a maraschino cherry. 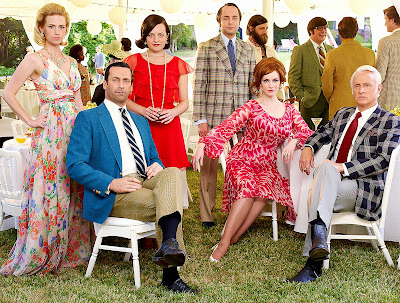 Whether you watch Mad Men tonight or not, you should enjoy one of these. Cheers to the weekend!